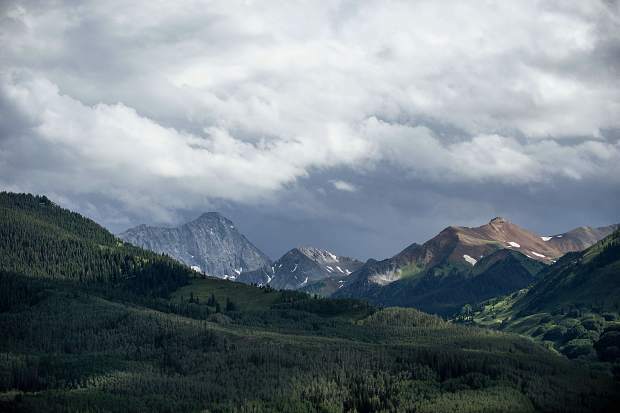 Four climbers have died this summer on Capitol Peak outside of Aspen and Snowmass. They include two men from Parker in separate incidents and an Aspen couple. The body of a 21-year-old man who died Saturday on Capitol Peak was found within 100 yards of an Aspen couple who perished on the mountain six days before, officials said Tuesday. That means the man who died Saturday – his identity still had not been released Tuesday pending family notification – may have chosen the same highly dangerous route down the mountain as Ryan Marcil, 26, and Carlin Brightwell, 27, according to two Pitkin County sheriff’s deputies. Jesse Steindler, a commander who worked on both search-and-rescue operations the past two weekends, agreed. “Given what his climbing partner said, where they separated and where all three bodies were located, it makes me think there are great similarities in the route they chose,” Steindler said. Mountain Rescue Aspen volunteers have told Steindler there are couloirs on the climb between the Knife Edge – an intimidating 100-foot section of ridge with precipitous drops on either side – and the Capitol Peak summit that offer glimpses of Capitol Lake below, he said. One couloir – essentially a steep, rocky drainage – on the peak side of the Knife Edge appears to lead down to the lake, he said. However, you cannot see that the couloir ends at a cliff band on the north face of Capitol Peak, which is not climbable, Steindler said. Other people over the years have made the same mistake, he said. Todaro emphasized that people need to know the route and stay on it. The 21-year-old man and his climbing partner, Brandon Wilhelm of Pine, did not know each other well, said Todaro, who interviewed Wilhelm. Wilhelm was supposed to climb the mountain with the man’s roommate, but that man was unable to go and the 21-year-old volunteered to come along, Todaro said. Wilhelm had climbed 42 of Colorado’s 54 14,000-plus-foot peaks, though he apparently didn’t have a lot of experience with technical climbs, Todaro said. The man who died had never climbed a 14er before, he said. The two men hiked to Capitol Lake on Friday, but didn’t wake up the next morning until 9 a.m. and got a late start up the mountain, Todaro said. The general standard for climbing big peaks is to start early and be off the summit by noon to avoid afternoon thunderstorms. Wilhelm was concerned about his partner’s lack of experience and said he would have turned back at the first sign of clouds or storms, he said. But Saturday was a clear and storm-free day, so that never happened. Once the two men got across the Knife Edge, they talked about pushing on to the summit – another approximately 30-45 minute scramble – or turn back, Todaro said. They decided to push on and summited the mountain at 3:10 p.m., which is late in the day, he said. On the descent, the two men were running out of water and fatigue started to set in on the 21-year-old, Todaro said. The two then had a discussion that was not exactly an argument in which the 21-year-old stubbornly insisted on taking that path. Wilhelm told him there were cliffs that way and that he might not live if he took that route, Todaro said. The 21-year-old asked how he knew that. Wilhelm waited at the top and kept yelling down to his friend to come back up, but the 21-year-old continued to say he saw a path to follow. Wilhelm waited for a while, but it was getting late and he needed to go, Todaro said. So, he yelled down to his friend to shine his cell phone light in the direction of Capitol Lake if he became stuck on the cliff and hopefully Wilhelm would see it and summon help, he said. Neither man carried a headlamp, Todaro said, though it’s not clear if even a headlamp could have provided an adequate signal. Wilhelm arrived back at the lake around 7 p.m. and went into the scree field below Capitol’s North Face and called for his friend and shined a light up the mountain for about three hours to no avail, Todaro said. He then went back to his camp and went to sleep. Wilhelm called emergency dispatchers the next morning about 8:40 a.m. from Capitol Lake, he said. The man’s body was spotted by a helicopter crew about 11:20 a.m., Todaro said. It appeared he fell about 600 feet, according to a Sunday news release. The 21-year-old man wore all cotton clothing – which is frowned upon in the backcountry because it steals body heat when it gets wet — and flat-soled skateboard shoes. An MRA volunteer said the body was located about 100 yards climber’s left of where Marcil and Brightwell’s bodies were found, Todaro said. The 21-year-old was the fifth person to die on Capitol Peak this summer. Prior to this summer, a total of four people died on the mountain between 2000 and 2016, according to statistics from the Colorado Fourteeners Initiative. Because they were locals and knew many people in the area, the deaths of Marcil and Brightwell the weekend before left sheriff’s office personnel and MRA volunteers emotionally raw during this weekend’s search, Todaro said.